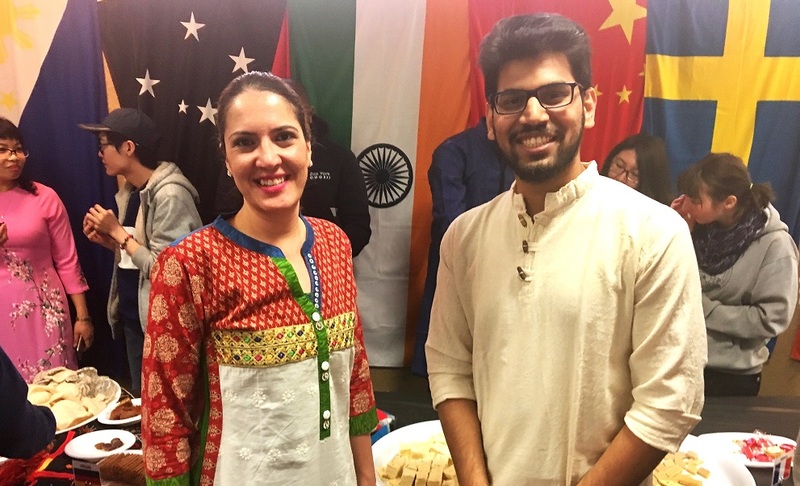 La Trobe International Student Services Coordinator Badraa AL-Darkazly and student Tejas Deshmukh on World La Trobe Day. When Tejas Deshmukh arrived in Bendigo from India earlier this year, the initial culture shock was massive. “I come from Mumbai where the population is very dense and here it seemed so quiet,” he says. But the La Trobe Master of Community Planning and Development student has ensured his life in Bendigo has been jam-packed. There’s been many weekend trips to Victorian icons, and as Bendigo International Student Club president, Tejas has helped organise cultural events and trips for his fellow students. 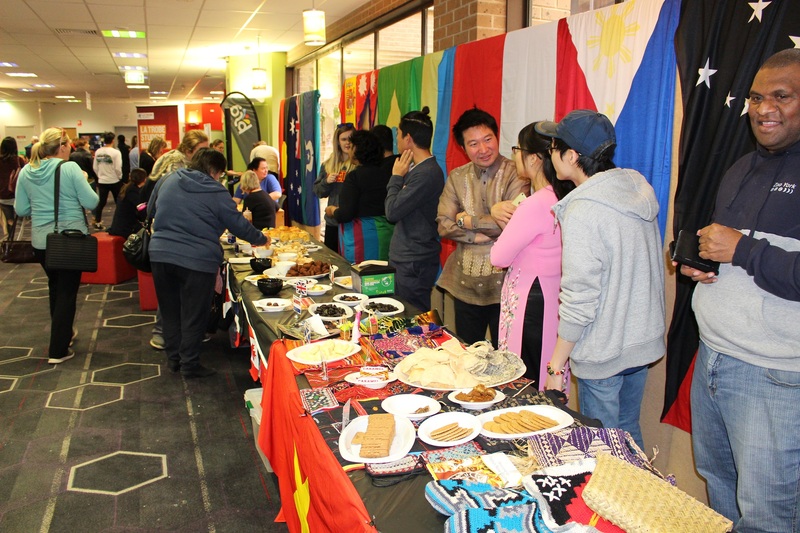 Such as World La Trobe Day on the Bendigo Campus, where students and staff gathered for food, music, dancing and cultural activities from around the world. Think lamingtons, falafel and Korean Pop. Tejas said it was the perfect example of the melting pot that is La Trobe Bendigo. The campus celebration topped off a multicultural week for Tejas and his fellow club members, who last Sunday travelled to the MGC to see an AFL match. Tejas says once he finishes his course he hopes to stay on in Australia and work as a town planner. “This is my second semester and I’ll be here for next year as well but already I feel like it’s going too fast,” he says. “If my Visa allows it I’d like to stay longer. Initially I want to gain experience as a town planner in Australia and grasp as much as I can and if the time comes to go back to India I really want to make a difference to society. World La Trobe Day celebrations at the Bendigo Campus.